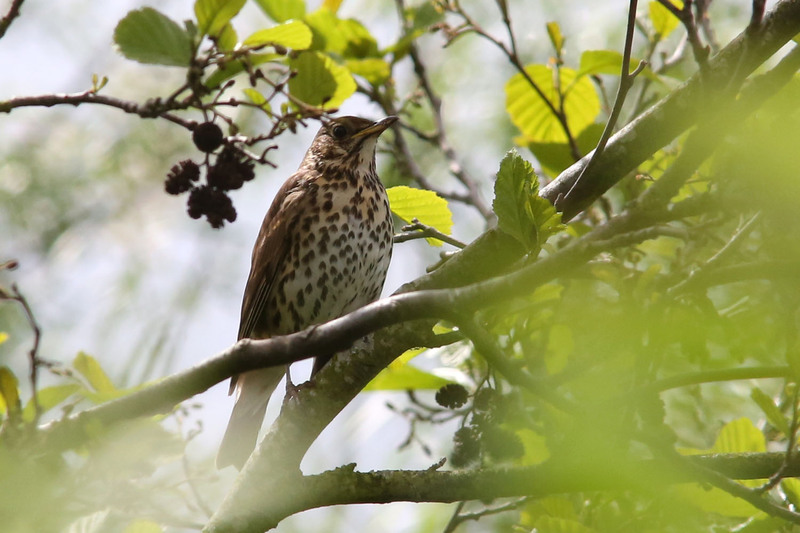 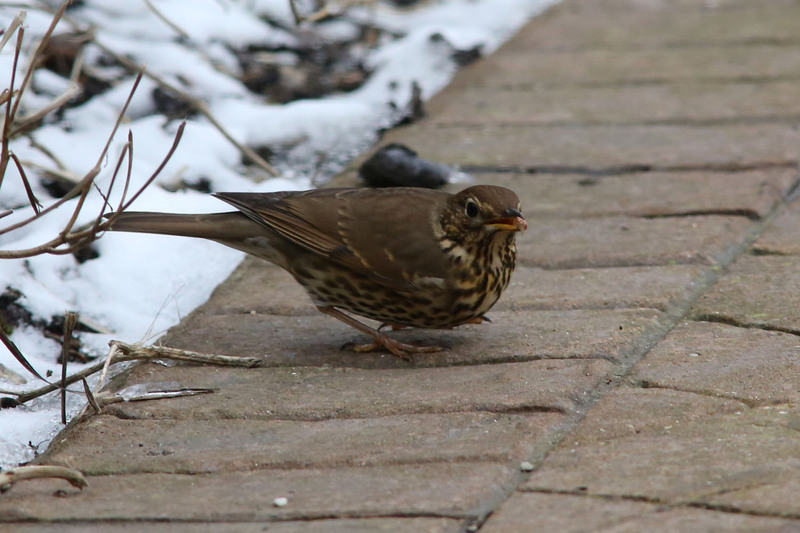 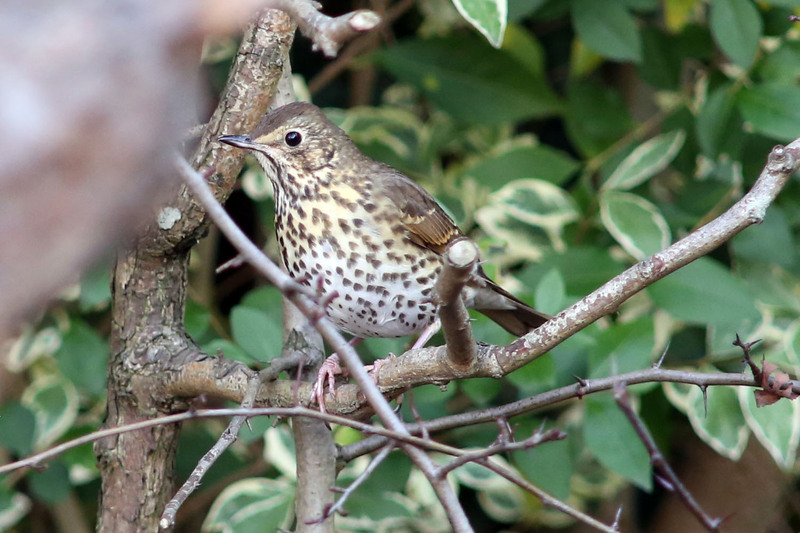 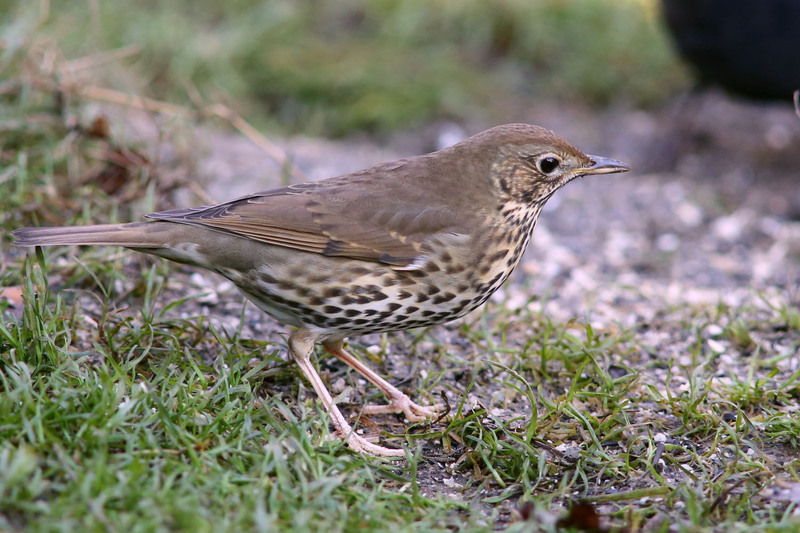 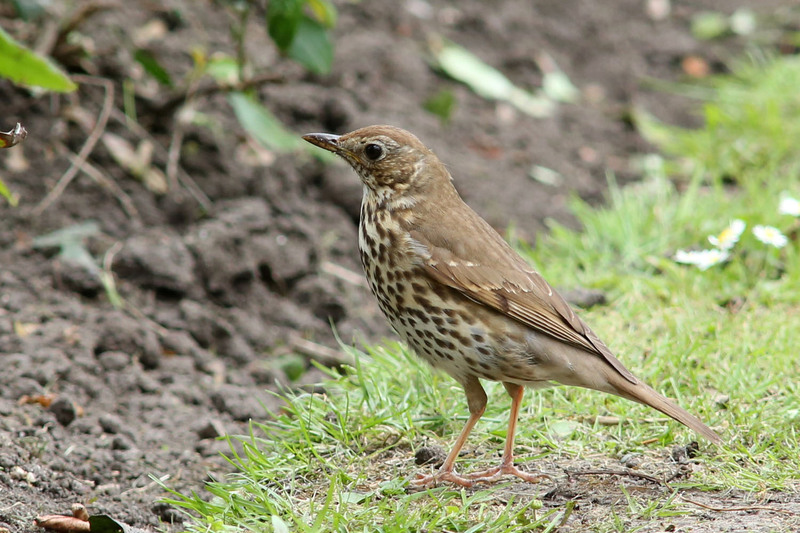 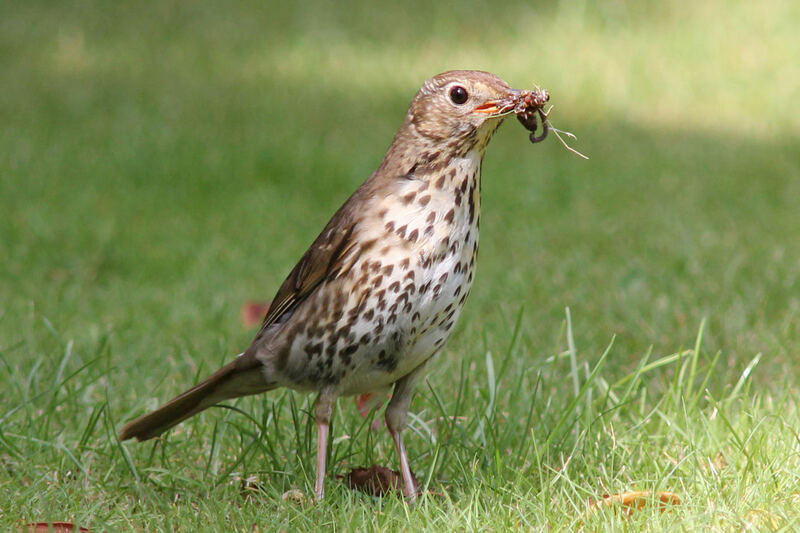 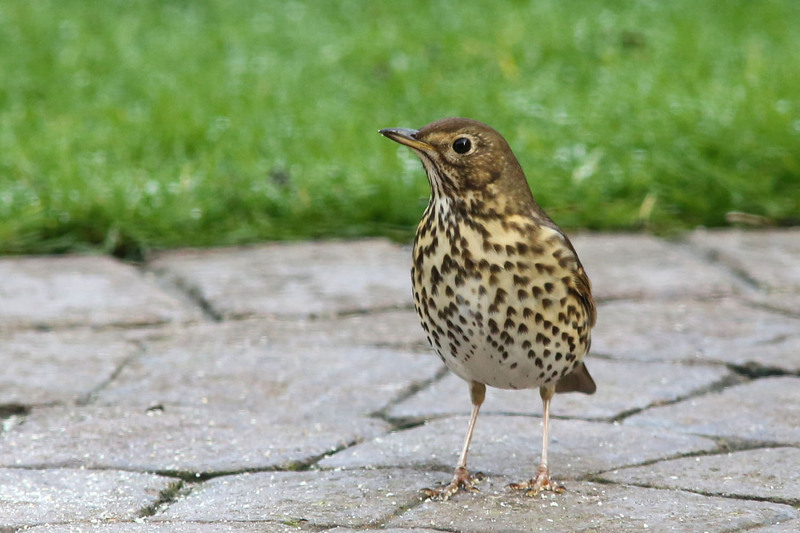 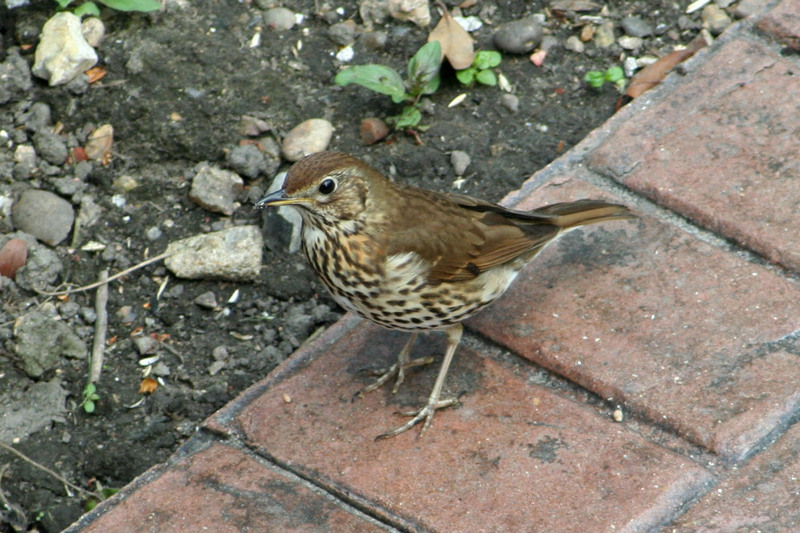 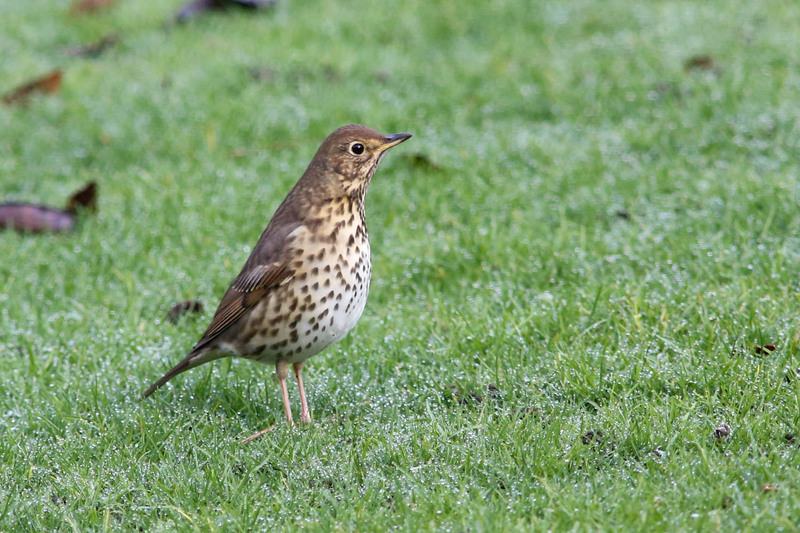 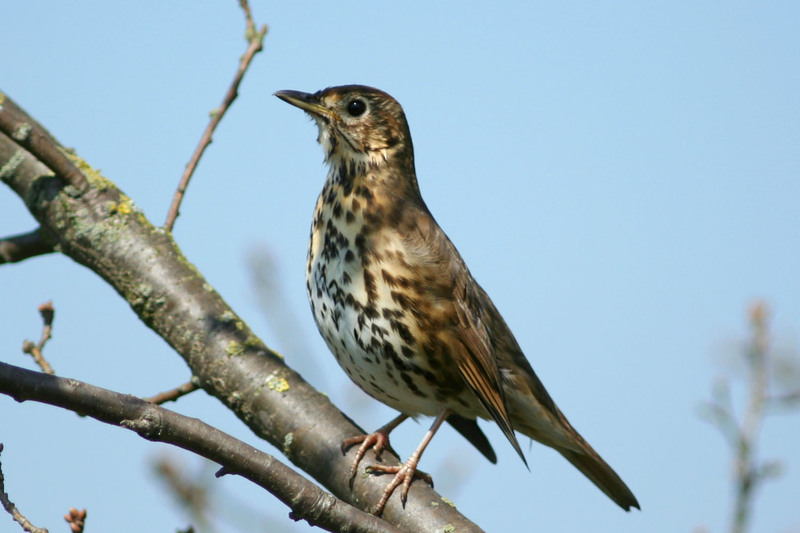 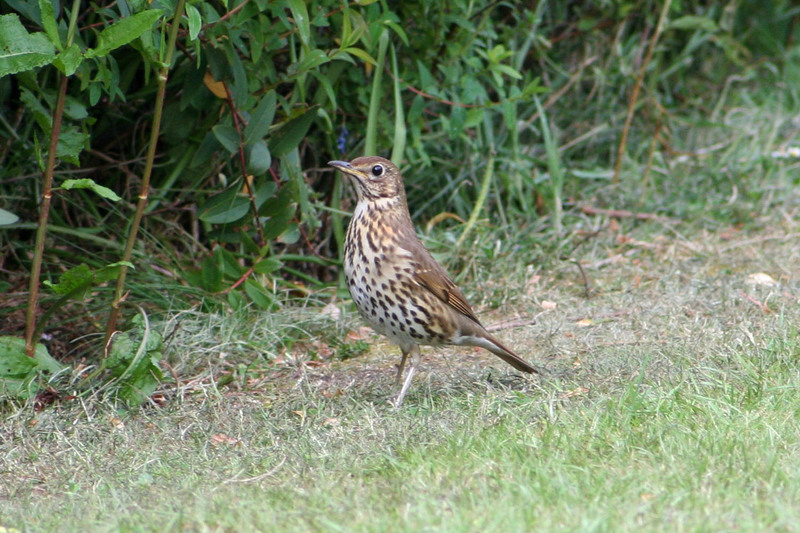 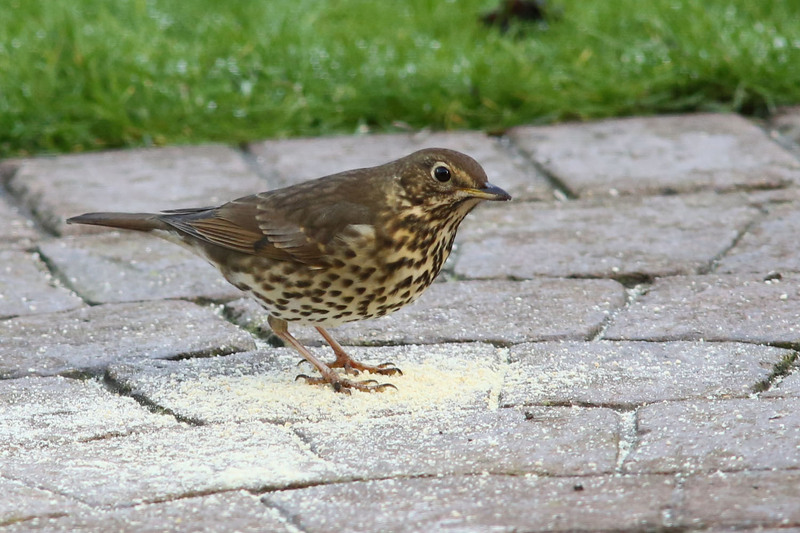 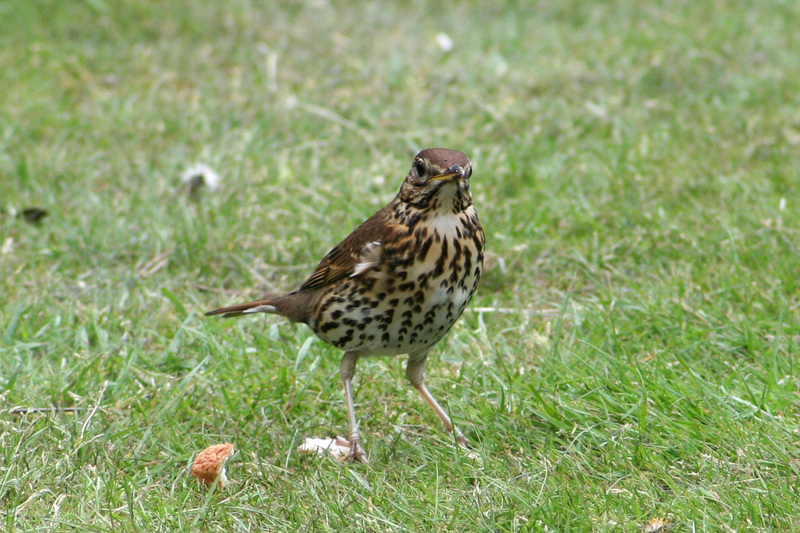 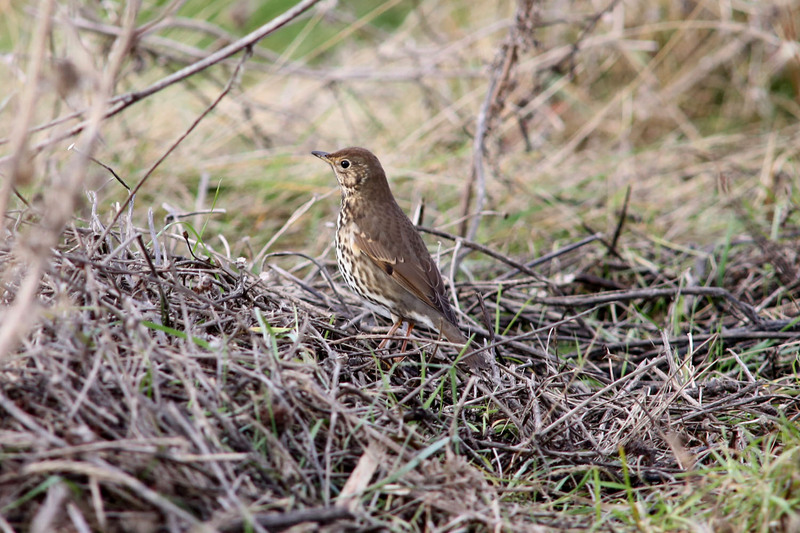 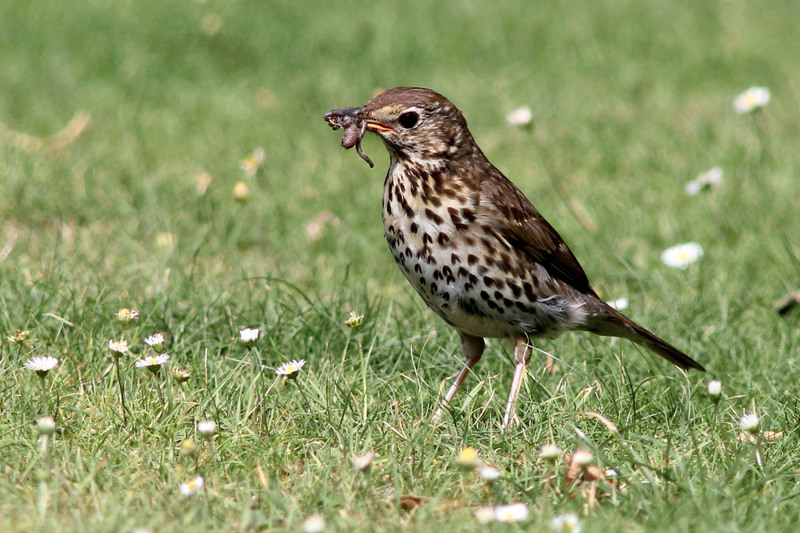 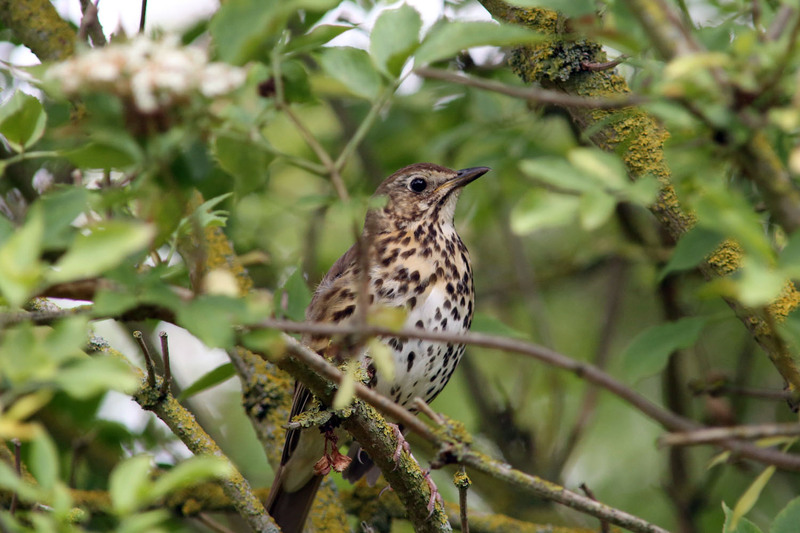 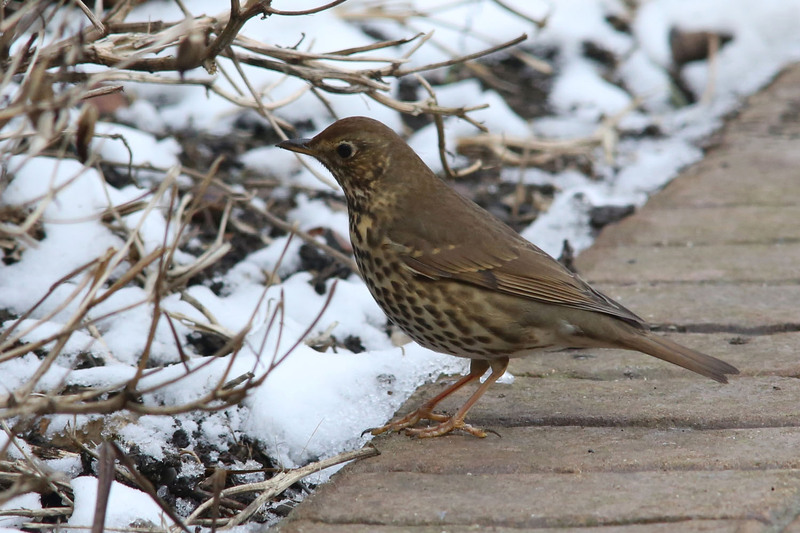 The Song Thrush is probably our most common Thrush and has a pleasing melodic song that it sings from a high perch. 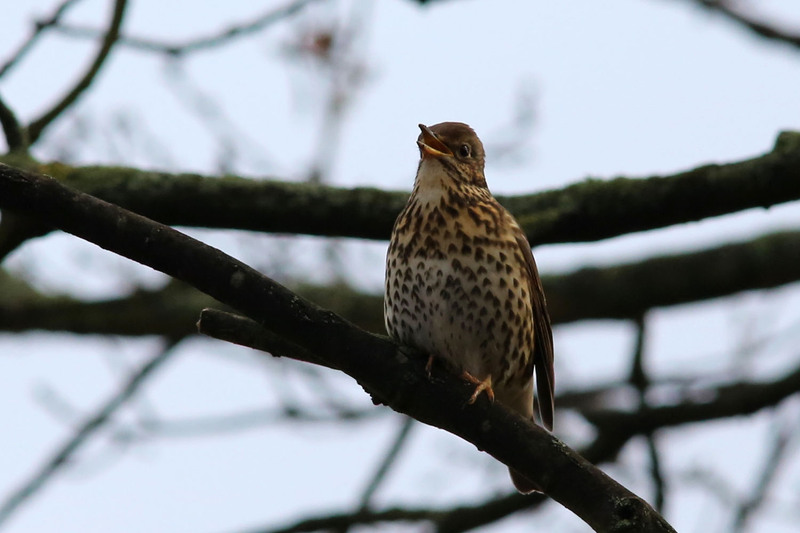 It's slightly smaller than the similar looking Mistle Thrush but is most easily distinguised by its browner head and back and of course, its song. 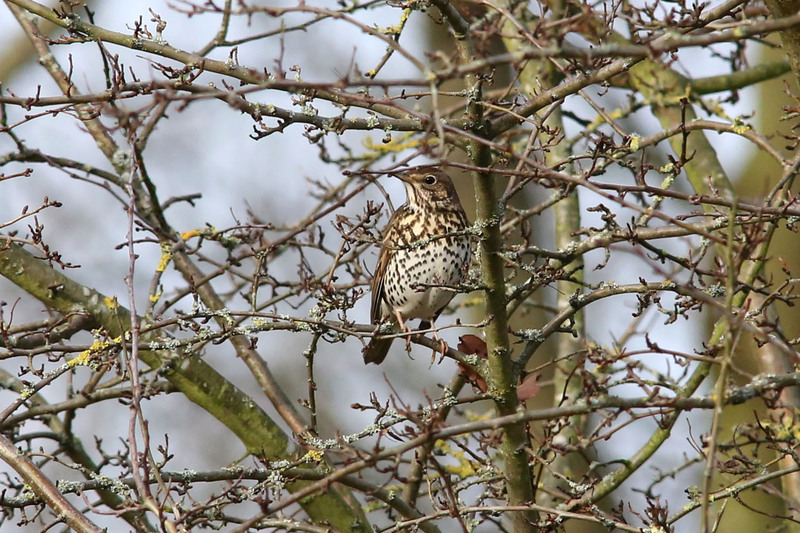 A Song Thrush singing from high in a tree.